Dreaming is good, but at some point you have to wake up and put in the necessary work to achieve it. 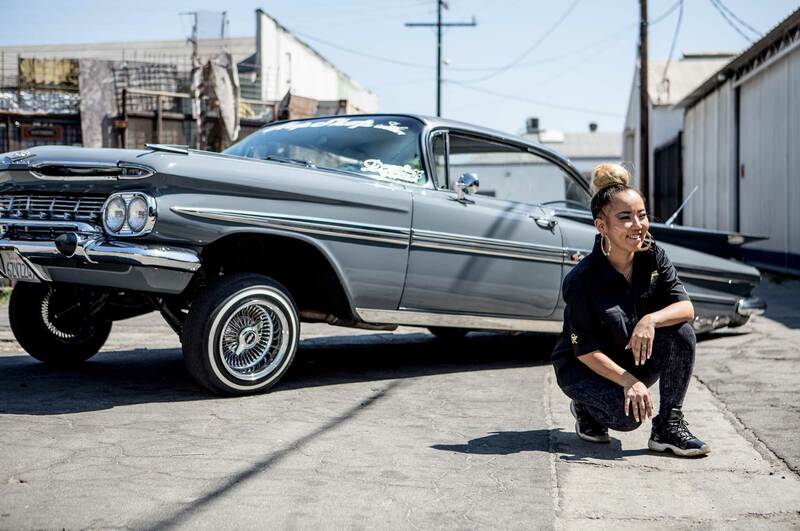 Just ask Kaoru; she’s the co-owner of the Hop Shop in Los Angeles and is famous for her 1959 Impala that’s helped her reach new heights-literally. 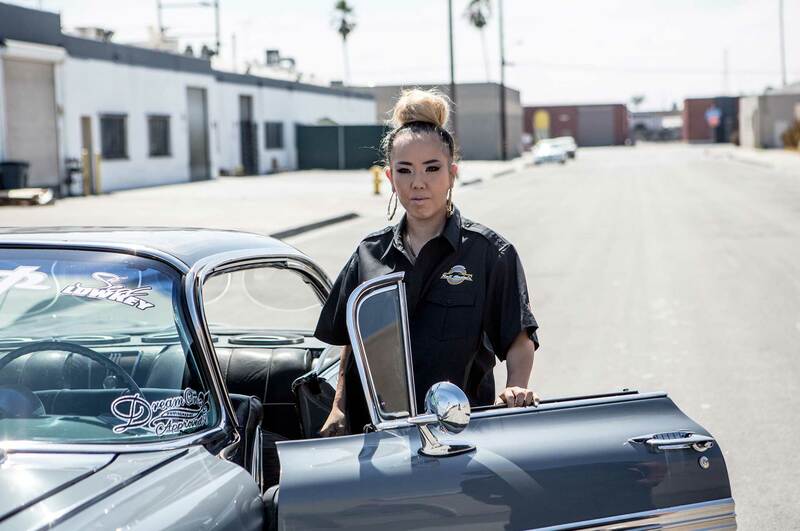 As a teen, Kaoru received a Lowrider magazine that featured the tail end of a 1959 Impala. Instantly, she was infatuated with the “cat eyes” of the rear end. But the beauty was something she didn’t want, it was something she needed. She showed her parents and told them that this was the car she wanted. Her request was received with confusion and a frown as her parents didn’t understand the aura of a classic car. Looking to support their daughter, they told Kaoru that if she wanted it she’d have to work for it, so she saved up for three years and returned with the money needed. Fast-forward to present day and Kaoru has made quite the name for herself. In recent years, her photos on social media have created quite a storm. She’s become so well known for her hopping skills that she adopted the moniker “Kay from the Door.” That said, now you’ll get to put a name to the face as she’s not only an incredible switch hitter, but an entrepreneur, a passionate lowriding advocate, and in our next episode of Roll Models, presented by Quaker State Oil and Shell Lubricants, we’ll be shedding light on the little lady who’s made a huge impact on lowriding and broken not only records but stereotypes.